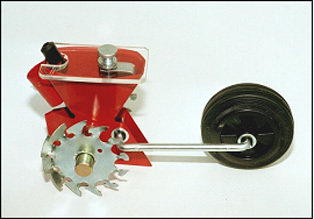 The body of the seeder opens a seed drill, the seed is placed in the drill and the back wheel then presses the seed into the soil. Result: fast germination. Seed shafts for other seed diameters on request.